A funny thing happened on the way to the end of this article. I started out writing about Don Mincher, but ended up writing about Tommy Davis. Mincher passed away on March 4. He played 13 seasons in the American League, hit 200 home runs, and had a career batting average of .249. He bounced around quite a bit in his career after making his debut with the original Washington Senators in 1960. He moved with the Senators to Minnesota in 1961, where they became the Twins, and played with them there through the 1966 season. After stops with the California Angels, Seattle Pilots, and Oakland Athletics, he was traded to the new Senators in 1971. He then moved with those Senators to Texas, where they became the Rangers in 1972. That makes Mincher the only person to play for the old Senators, the Twins, the new Senators, and the Rangers. He also holds the distinction of having played for three different teams during their final seasons before they relocated–the old Senators, the Pilots, and the new Senators. On June 9, 1966 Mincher was one of five Twins to hit a home run in the seventh inning of a game against the Kansas City Athletics; Harmon Killebrew, Tony Oliva, Rich Rollins, and Zoilo Versalles were the other four. This remains the only time in baseball history that five players on the same team have homered in the same inning. After Mincher retired from baseball he returned to his native Huntsville, Ala. and was the first president and general manager of the Huntsville Stars, a Double-A team in the Southern League. He was later part of a group of investors that purchased the team. He also served as president of the Southern League from 2000-2011. 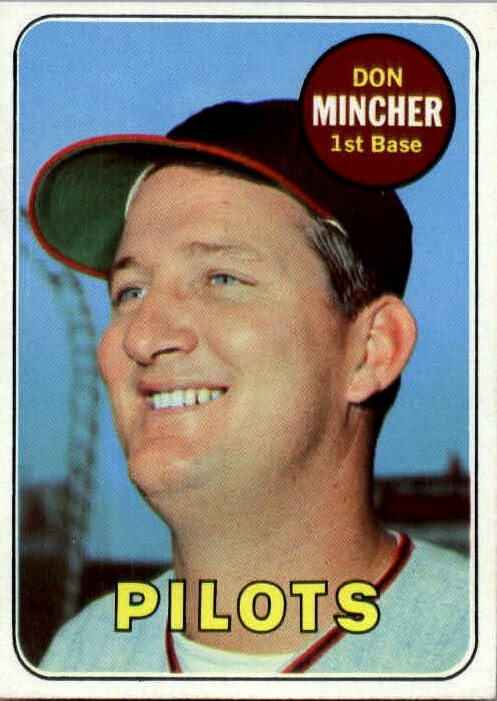 I remember Mincher mostly as a player who hit a lot of home runs for the 1970 Oakland Athletics in the Strat-O-Matic Baseball leagues of my youth. When I read of Mincher’s death, I decided to write an article about him, and I thought it would be good to get a quote or two from one of his former teammates. 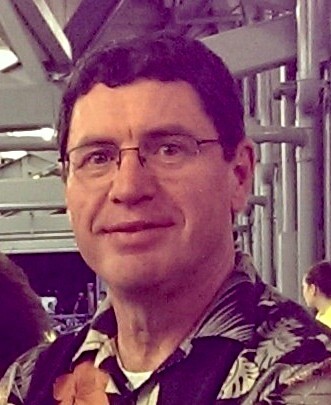 I tracked down Tommy Davis, who played with Mincher in Seattle in 1969, and gave him a call. I asked him what he remembered about the Pilots’ all-time career home run leader. And that was pretty much where my conversation about Mincher ended. I must confess that I have always been fascinated with Tommy Davis. He had an interesting career, and he could just flat-out hit. I always wondered how his career would have turned out had he not broken his ankle in 1965. 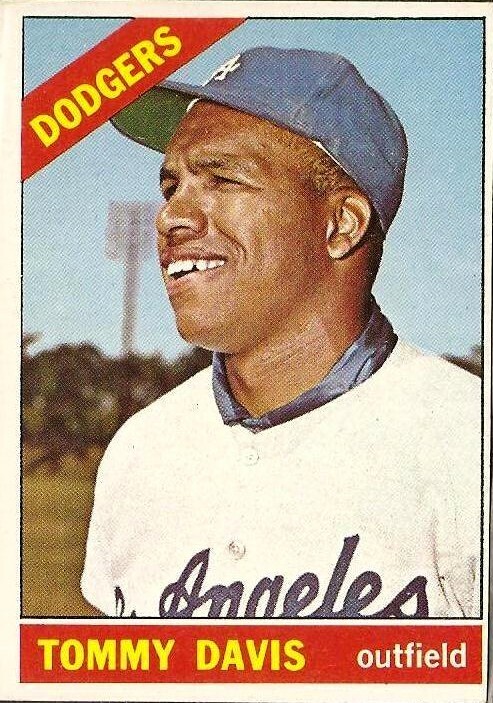 After Davis answered my question about Don Mincher, my next question was, “Did you sign with the Dodgers when they were still in Brooklyn?” And just like that, the subject of this article became Tommy Davis. “Yes,” Davis said. “I’m from Brooklyn. I was signed in ‘56. I was going to go to the Yankees because they gave me a lot of attention. They let me work out with them five or six times while I was in high school. That was overwhelming–Mickey Mantle, Yogi Berra, Elston Howard, and Whitey Ford were there–that’s a lot for a 17-year-old. By the time Davis made his major league debut in 1959, the Dodgers were on the other coast in Los Angeles. He had a good rookie season in 1960, hitting .276 with 11 home runs and 44 runs batted in. He was also 7-21 as a pinch hitter, a role he would handle well throughout his career. In 1962, Davis won the National League batting title with a .346 average. He also led the league with 230 hits and 153 RBIs. Amazingly, Davis wasn’t named the league’s Most Valuable Player that year. “You know I finished third in the voting,” Davis said. Davis won another batting title in 1963, and the Dodgers made it to the World Series where they swept the New York Yankees. He lost out on the MVP award again, this time to teammate Sandy Koufax. Davis tailed off to .275 in 1964 and then in 1965 his season ended after only 17 games due to a broken ankle. Davis bounced back in 1966, hitting .313 in limited action. After the ‘66 season, Davis began a nomadic journey around baseball that would send him coast to coast three more times. The Dodgers traded him to the New York Mets for the 1967 season. I asked him if he was disappointed by the trade. Davis hit 16 home runs, drove in 73 runs, and batted .302 in his only year with the Mets. “I’ll tell you how I hit .302.” Davis said, “You’ll like this. We’re playing the Dodgers the last series of the season in Dodger stadium. So, in the next to the last game, Drysdale’s pitching and I’m oh-for-two. And in my third time at bat, the count is oh-and-two. So I get out of the batter’s box, and I said to John Roseboro the catcher for the Dodgers, ‘Johnny, I’m hitting .299 or .300 right now. I’m oh-for-two, and the count’s oh-and-two.’ He said, ‘I didn’t know that. What you want?’ Give me something I can handle. “Normally, when you got Drysdale out there and you got the count oh-and-two, you’re going to be dancing; he’s going to throw something close to you. But he put one right down the middle, and I hit a double. I got to second base and said, ‘Time out! I’m outta here.’ We had only one more game, and we were in last place anyhow with the Mets. Despite his solid season in New York, the Mets dealt Davis to the Chicago White Sox in 1968. 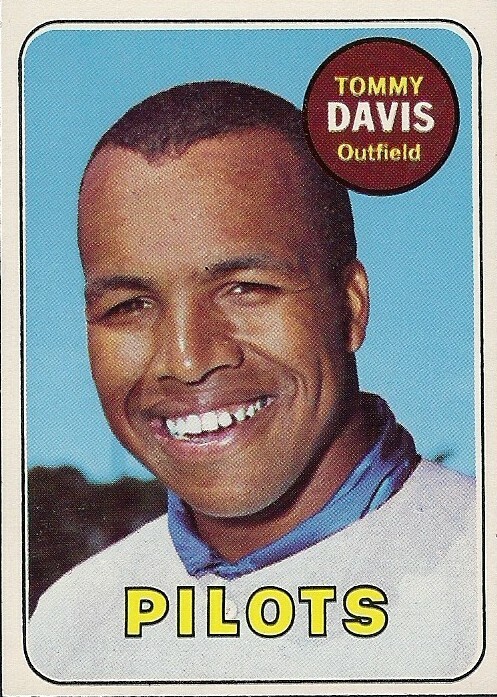 In 1969, the Seattle Pilots selected Davis in the expansion draft. Near the end of that season, the Houston Astros picked him up for the pennant drive. He started the 1970 season with Houston, but they traded him to the Oakland A’s in June; they traded him to the Chicago Cubs in September. Davis was back in Oakland in 1971 and had a return engagement with the Cubs at the beginning of the 1972 season. The Cubs sent Davis to the Baltimore Orioles in August, and he finished the season there. In 1973 the American League adopted the designated hitter, and Davis’ career was reborn. He hit .306 with 89 RBIs in his first year as a full-time DH and followed with two more solid seasons in Baltimore. “I had some good times in Baltimore,” Davis said of his years with the Orioles. Davis began his final big league campaign in 1976 with the California Angles and wound up his career with the Kansas City Royals. When it was all said and done, Davis had played for 10 different teams (two of them twice) in 18 years. He retired with a .320 average as a pinch hitter (63-197), the highest pinch-hitting batting average in baseball history. Davis also set a record for hitting home runs for the most teams (9) in a career; he managed to hit home runs at every stop along the way except Kansas City. Todd Zeile broke Davis’ record in 2003 and wound up homering for 11 different teams. If Davis had not broken his ankle, or if the designated hitter had come along sooner, then Zeile would probably have broken some other player’s record. But Davis is not bitter about how the broken ankle affected his career. Considering the future Tommy Davis had in front of him when he slid into second base on that fateful day of May 1, 1965, it’s hard to believe he can look back on his career in such a manner. He was a heck of a hitter. He is a heck of a man. I enjoyed my conversation with him. Nice story, I rmeember both of these men well and have baseball cards from many of the stops but each of them. Not a fan of the DH I remember my first favorite DHer was Tommy Davis. It was real shot in the arm to people like him late in their careers and still is I guess. It’s nice to read stories about those guys. We played APBA during the 70’s so I can relaste to the Strat-O-Matic comment. Thanks, Mark. I’m no fan of the DH, either. Mincher was an all-or-nothing type hitter, but Davis was the real deal. I had always heard he was bitter about his career, but I found him to be just the opposite. My keyboard strikes again on the above comment. Oh well maybe I’ll learn to proof read the typos! When checking his swing, Tommy Davis always dropped his bottom hand (left) off of the bat. Smart move. Tough to look like you’ve broken your wrists with that hand off. I was a high school player in the mid-late ’70s in the Baltimore area and copied him. He is only player ihave seen do that. I never saw Tommy Davis play live and do not remember ever seeing him drop his bottom hand. You’re right; that’s a smart move. I enjoyed speaking with him and he was very gracious. He has no regrets about what might have been. Thanks for the comments. As a 11 year old kid from brooklyn ny i was a very big fan of Tommy Davis i never forgot that he was a met and my fav met in 1967 i was sorry to see him go and after Bob Gibson beemed Tommy Agee to start spring training in 1968 i was very sad to see Tommy Davis go to chiago whitesox bit every time he played in yankee stadium i was there to see my fav met play i had to wait till 1969 to see my mets win the world series all takes to the tommy davis trade. Thanks mr davis you where my fav met in 1967. Thanks for the comments. After speaking with Tommy Davis, I can assure you that your favorite player is quite a guy. I met Tommy Davis in Burbank, Ca. along with Jim Bouton. I forgot what the celebration was about, but I believe it had something to do with the Seattle Pilots. Both were gracious and Tommy even commented on my Oakland A’s cap.